For this program Brunasso led the effort to develop EMS Technologies' first commercial antijam system for Thales Alenia Space. The Ka-Band beam forming network has 32 inputs, a primary output, and a coupled output that is monitored to detect jammers. Brunasso led the team that won the development of a Ka-Band antenna for the Mars Science Laboratory (MSL). In addition, she designed the microwave feed for the antenna that yielded low sidelobes. The antenna is used for the Terminal Descent Sensor (TDS) radar that will be used for a controlled descent to the red planet. The antennas were developed to be rugged, compact and lightweight. Six of the antennas are used with the radar, and the team was awarded a certificate of appreciation from NASA Jet Propulsion Laboratory for meeting the challenging requirements on schedule. Brunasso led the technical team that won the development of an autotrack system for NASA's Tracking and Data Relay Satellite (TDRS). The autotrack system enables accurate receive system beam pointing for the satellites, which maintains the satellite communications link. Brunasso led the EMS team working with Boeing on the Transformational Satellite (TSAT) program. Under Brunasso’s leadership, the team developed a compact beam forming system at EHF frequencies that enabled low sidelobes without any tuning required. The beam forming network has 121 outputs. The team was awarded a patent for their design approach. Brunasso led the effort to win and helped design the DirecTV satellite combining network that allows the accurate phase and amplitude combining of several high power Ka-band traveling wave tubes. The network includes a low power amplitude and phase adjusting network, which significantly reduces integration and test time for Boeing, as well as a high power, low loss combiner and TWT protection network. Brunasso led the proposal team that won the development of the S-band high power combining network used on the XM-Radio transmit network for Space Systems/Loral. In addition, she led troubleshooting efforts that determined the source of high power testing failures. The high power combining network is used on both XM-Radio and Sirius satellites. Brunasso led the microwave team and the subcontract with Teledyne Microwave to develop X-band low noise amplifier assembly. The LNA assembly provided redundant LNAs, low loss ferrite switches, and a bandpass filter for the German armed forces. Brunasso was the system architect and technical lead of the team that won and developed this millimeter wave beam hopping network for the Astrolink satellite constellation. The network provided TDMA beam switching for up to 16 high power Ka-band downlink signals. In addition, the network included low pass filtering and waveguide switches to provide redundancy in the event of a traveling wave tube failure. The astrolink satellite system was developed to provide internet access using low earth orbit satellites. Brunasso was the technical lead for a lightweight variable power divider designed for downlink on the SkyBridge low earth orbit satellite system. The variable power divider was designed to allow beam shaping as the satellites moved relative to the receive antennas on earth. Brunasso was the microwave lead for a C-band switch matrix used on the uplink for the Intelsat IX satellites. The matrix provided 13 for 9 redundancy for the receive network using a combination of low loss, high isolation MMIC switches and custom designed combiners. Brunasso was the system engineer and microwave lead for the MILSTAR II Consolidated Agile Beam antenna feed. This complex EHF network included low noise amplifiers and a network of 667 low loss switches to provide LNA redundancy and beam hopping between any one of 38 inputs to any of five outputs. The network provided high isolation using ferrite switches and custom designed power divider. 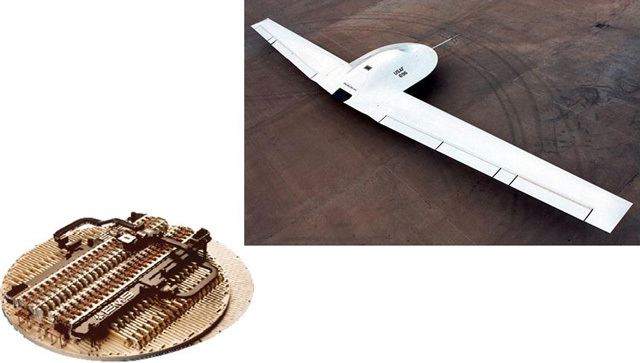 Brunasso was the microwave lead for this Ku-band 1-D phased array used on the DarkStar UAV for transmitting data to the Intelsat satellites. The array used ferrite phase shifters to scan in elevation and was mechanically scanned in azimuth. Brunasso developed all the custom reactive and isolated power dividers used in the feed. In addition, she developed test sets used for the test of the feed components and the test and alignment of the phased array. Brunasso was the technical lead for this Ka-band autotrack system. The system included ferrite switches and custom designed dividers to provide switching for the autotrack receiver. Brunasso led the technical team for this phase shifter production program used on the JSTARS phased array. She created design tools to analyze effects of manufacturing variations, and increased yields to over 95%.